Are We Headed for a Double-Dip in Home Prices? We all know that numbers and statistics can be interpreted in many different manners, depending on the desired outcome and the audience. Case in point, within the last two weeks we have two separate reports on U.S. housing prices that range from cautiously optimistic to doom and gloom. What’s real, and who do we believe? Back on October 13, I happily reported in a post on this blog that according to an elite panel of economists surveyed by the National Association for Business Economics, home prices across the US saw their lowest point in the first part of the year and have been gradually trending upward. 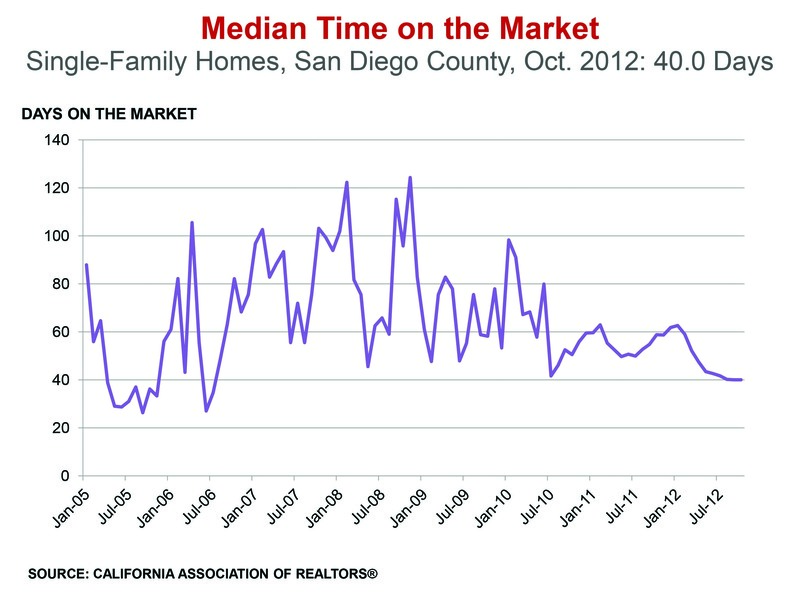 In San Diego, the news was even more encouraging as our prices rose higher than the national average. However, that trend over the past nine months might not hold true for the future. On October 29th, Capital Economics, a leading international economics research firm, announced that a double-dip is already underway for both housing activity and residential prices. Paul Dales, a U.S. economist for the firm, predicts that home prices will continue to decline over the next twelve months with a dip of over 5%. Paul and his team add that if the economy continues to improve more quickly than analysts predict, home prices might hold steady. On the other hand, if the economy worsens greater than predictions, prices could fall as much as 20%! That’s huge! Couple that with the firm’s forecast that housing demand for the next three years will remain “unusually weak”, while supply remains “unusually high”. Right now the analysts say that there are about 1.5 million too many homes on the market given today’s demand, and that number will likely swell with additional foreclosures. There are approximately 2.5 million homes in foreclosure and 2.4 million that are 90 days past due. That is an addition of nearly 5 million homes that could flood the marketplace in the next year. 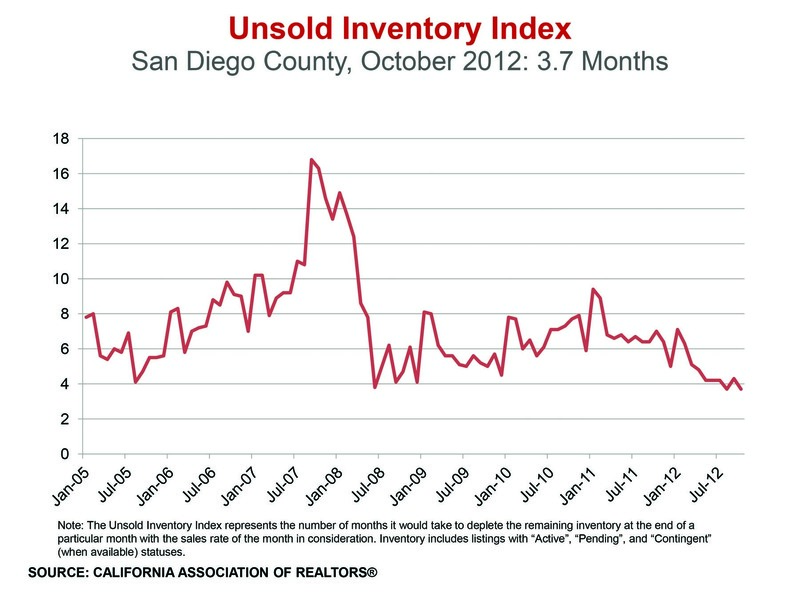 So what does all of this mean for San Diego real estate? Well, I wish I had that crystal ball, but here’s my take. To a certain degree, I believe that both reports are correct. 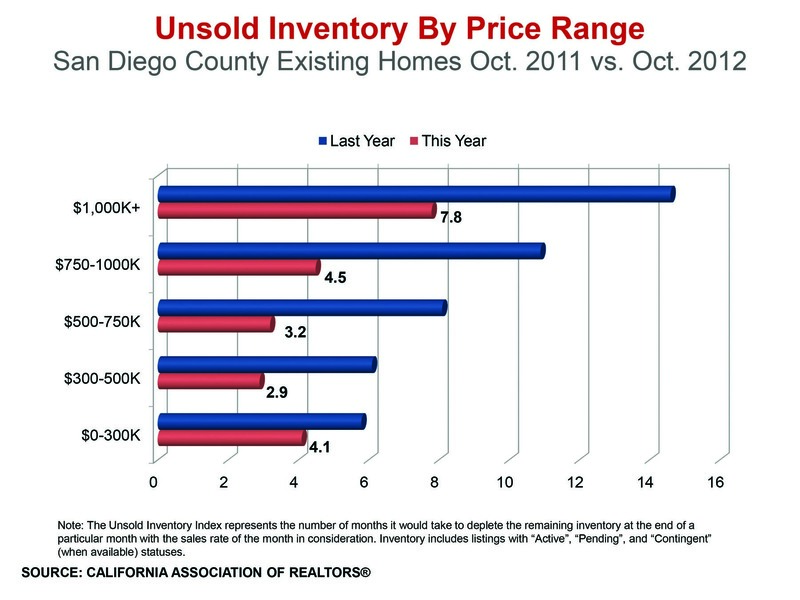 I certainly believe that we’ll see an increase in the supply of homes on the market due to foreclosures and short sales. Banks can control the number of REO properties they bring to market, but I think that we’ll see a large increase in short sales as homeowners seek to avoid foreclosure. 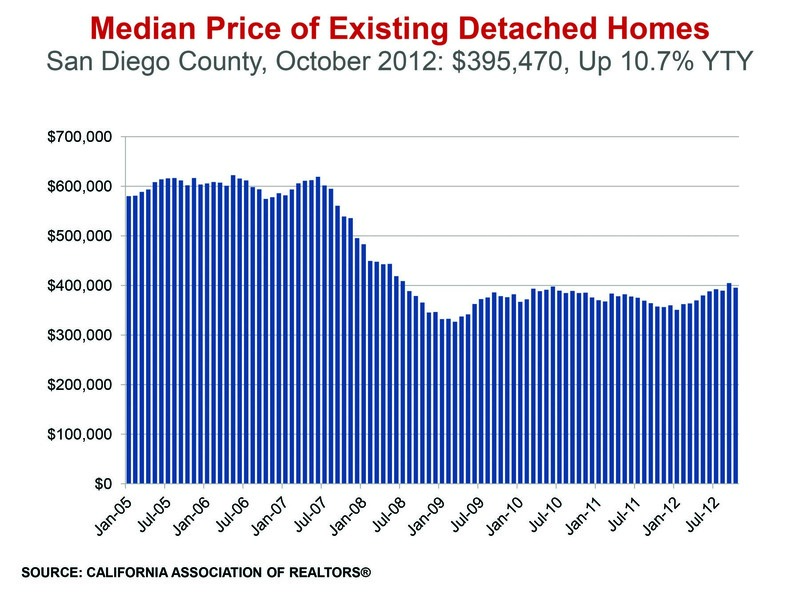 However, I don’t see a huge dip in home prices, at least here in San Diego. I do believe that barring a total economic melt-down we’ll continue to see static prices with some modest increases in value, particularly in the $250,000 – $400,000 price range for single family homes. Is this a good time to buy? Absolutely! With prices and interest rates at near record lows, what’s not to like? Waiting to see if prices fall further is a gamble in my book as it is very likely that 6 or 9 months from now, interest rates could be as much as a full percentage point higher. Mortgage Interest Rates Up, Volume Down. Not Good. For the first time in over 6 weeks interest rates for 15 and 30-year fixed mortgages rose…not much mind you, but they did increase. 15 year rates rose from an average of 3.62 to 3.74 percent, and the 30 year rate increased from an average of 4.21 to 4.34 percent. According to the Mortgage Bankers Association we also saw a sharp drop in the number of applications submitted for the week ending October 15th, down by 10.5 percent from the previous week. Refinance applications were down 11.2 percent and applications for home purchases were down 6.7 percent. Now I’m no economics wiz, but even I can tell you that this is not good. The MBA attributed the drop in applications to the slightly higher rates, but more importantly to public apprehension and confusion surrounding the mismanagement of foreclosure paper work by some banks and servicers. So at a time when we have an increased number of foreclosures and short sales hitting the market, we have potential buyers of distressed properties pushing back, fearful that there could be issues in the transaction that would give them less than clear title. And, oh yeah, let’s throw in a rate increase. So once again, it appears that the banks are doing nothing to get us out of the mess they created….but of course, it’s not all bad for most of them. Wells Fargo turned a profit of $3.35 billion for Q3, up from $3.24 billion a year ago. I’m sure that warms the hearts of everyone who lost their home last quarter.